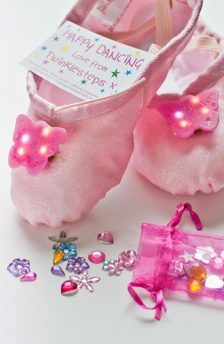 The skirt features one layer of pale pink tutu net and two overlapping top layers of hot pink tulle, which features lots of little holograms that sparkle when they catch the light. 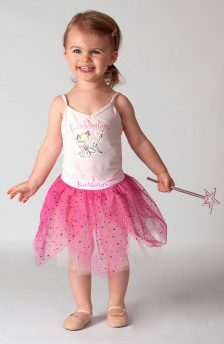 It has a very soft stretch waist band in pale pink lycra, featuring the Twinklesteps logo in hot pink glitter text. These beautiful skirts are made in the UK.